Westwood, G. (2012). Investigating the information needs of university students in foundational foreign language courses. Studies in Self-Access Learning Journal, 3(2), 149-162. This investigation seeks to address two issues: first, to discover if there is evidence that university students in foundational language courses need information resources to support their language learning and second, if such evidence exists, what the specific information resource needs might be and how important those resources are to students’ language learning. After engaging in a year of foreign language study, the author used the evidence gathered to develop and conduct a survey of the user needs of language students at the Self Access Centre (CAADI) of the University of Guanajuato, Mexico. Results of the survey supported the personal learning experiences of the author. 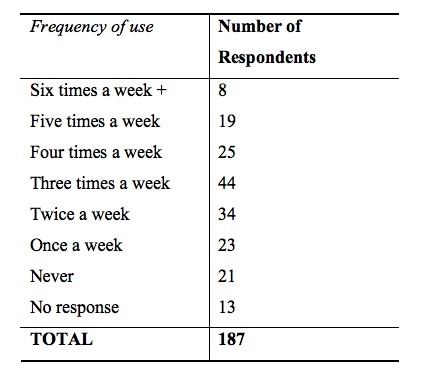 Over 80% of students surveyed reported using the information resources in the CAADI at least once a week with general grammar books, course text books and films being reported as the most important resources. This investigation provides a starting point for research in to the collection development practices of academic libraries supporting the learning of foreign languages. By examining the information needs of one population, evidence has been provided that these students do indeed need information resources to support their language learning. The study suggests specific resource types that could be important for these users. Academic librarians dedicate much time and energy to anticipating and meeting the information needs of students who come to the library for support with their research assignments. We collect and provide access to the materials they will need; we teach them when, why and how to use and evaluate those materials; and we work with faculty to ensure their students receive the best instruction. It is interesting to contemplate students who do not come to the library. If this is because some students do not have learning needs requiring library support, perhaps there is no need for concern. However, if they do have learning needs requiring library support two important questions demand attention. First, is the library able to meet the library support needs of these students? Second, if the library is able to meet these needs, how can it identify and respond to such needs? The investigation described here was motivated by an interest in discovering whether there are unmet library collection needs for students taking foreign language courses. At the University of Lethbridge, collection development, instruction and liaison for the Department of Modern Languages focuses on monograph and periodical research support for students in mid and upper level language, literature and culture classes. Before the author assumed responsibility for these subject areas, there had been no attention given to building collections to support the language learning needs of students in foundational courses. It was the desire to address this gap in past practice that motivated this enquiry. Is there evidence that university students in foundational language courses need information resources to support their language learning? If such evidence exists, what are the students’ specific information resource needs, and how are they important to their language learning? A review of the early professional literature on information seeking behaviour reveals calls for a redirection away from a systems focus and towards a user focus. In their landmark article, Dervin and Nilan (1986) presented an extensive review of the body of interdisciplinary literature on the research in to information needs and uses, concluding with significant evidence that demonstrated this shift. Pettigrew, Fidel and Bruce followed up in 2002 by supporting this research and providing further evidence of a deeper commitment on the part of library researchers and practitioners to continue to examine and practice this motivation for the user as the central focus of decision making. On the question of the information needs of undergraduate students, the literature reports numerous studies addressing the information requirements of library user populations in the humanities, but not necessarily for the population under consideration in this investigation. Stone (1982) reported the deficit of an established body of significant research literature into the information needs of humanities scholars; however Watson-Boone (1994) followed up by highlighting considerable developments in the study of this user population. Humanities scholars can be characterized by their usual inclination for working alone and their preference for consulting primary, rather than secondary sources. With regards to populations more directly related to those in this investigation, the literature review revealed a significant amount of research focusing on improving access to Spanish language collections and services for Spanish-speaking populations in public libraries in English-speaking communities (Kasten Marquis, 2003). In academic libraries, research into the information needs of foreign language populations has tended to focus less on collections and more on programs and services for non-English speakers and international students (Wang and Frank, 2002), on the more technical aspects of foreign language collection development in academic libraries (Henczel, 2003) or on students and faculty engaged in upper level language or literature research (Sweetland & Christensen, 1997). No research was discovered that specifically addressed the information needs of the population under investigation. While the literature review does provide strong support for a user centred approach to collection development in different user populations, it did not provide insights specifically into the needs of foreign language students. It seems improbable, however, that foreign language students at the beginning of their language studies have no information needs. If the literature review results accurately indicated a gap in the knowledge base of academic librarianship, conducting primary research could not only answer the original research questions but potentially contribute to professional practice at a much broader level. In 2003/2004 the author was awarded a year-long leave to study Spanish at the Language School of the University of Guanajuato (UGto. ), Guanajuato Mexico. One objective of this leave was to use the first hand experience as a language student to gather evidence that would provide insight into the research questions. By being a student, the relationship with the information resources used in support of language acquisition could be examined, reflected upon and documented. In the end, the nature of specific information needs would be determined and an indication of their importance to language learning identified. The Language School had a Self Access Centre (SAC or CAADI in Spanish) which supported the language learning needs of its students by providing a variety of collections and services for independent and course-related language learning. The services included individual and group study spaces, peer-facilitated language and homework tutoring, as well as peer-facilitated conversation classes. The focus of the investigation was the collection and included fiction and non-fiction books (novels, textbooks), reference materials (encyclopedias, dictionaries, handbooks), periodicals (magazines and newspapers), films (feature films, documentaries, travelogues), popular music, books on tape, computer language programs in DVD, video, cassette tape and on the web, and board games – all at beginning to advanced language levels. The author found that when responding to an externally imposed objective such as preparing for a class presentation or written assignment, the CAADI collection was essential if not entirely adequate. The resources most important to this objective tended to be English/Spanish and Spanish language dictionaries, Spanish language encyclopedia sets and English and Spanish language web sites. Although outdated grammar texts and encyclopedias were helpful in providing foundational support, both the aged and limited collection were a barrier to progress. The author discovered as well that information resources were also needed when pursuing the internally or self-imposed objectives of independent practice and development of language skills. Resources most important in supporting this objective were English/Spanish language dictionaries, textbooks, computer language programs, fiction and Spanish language films and television programs. The study leave experience provided evidence that motivated an interest in further exploring the original research questions. Personal experience had demonstrated that information resources do indeed support language learning and specific information resources had been identified as essential. Although a formal observational study had not been conducted during the study leave, the evidence gathered through the personal experience was confirmed every time other students were observed interacting with the information resources in the CAADI. By comparing and formally testing these experiences with those of a similar but larger population, quantitative data could be collected that would support or refute the evidence collected and observed to date. Several data gathering methods for collecting and testing the validity of the evidence were considered. The process was framed around certain constraints. Specifically, the author was working alone on the research program and had no special funding, support or relief time from professional duties. A data collection procedure that would be inexpensive and relatively simple to develop and conduct without assistance was required. In defining the population to be sampled, the original research questions were revisited and the characteristics most representative of the study population were considered. A population with similar overall language learning experience was of primary importance. Students had to be studying a foreign language at a beginning or intermediate level, of a postsecondary age and with access to a collection of information resources supporting their language learning. With a commitment to return to Guanajuato in March of 2005, a good working relationship with the director and staff of the CAADI and their support in the research endeavour, the students in the CAADI were an appealing population to sample. The population at the University of Lethbridge was considered unsuitable as the research needs and associated information resources supporting undergraduate and graduate research into language and literature studies are more comprehensive than the research question requires. The information resources in the CAADI collection concentrate exclusively on supporting language learning and were the precise resources needed for the study. While a random sample would have been preferable, time, funding and the constraints of a lack of research experience directed the decision to draw a convenience sample from the students in the CAADI at the University of Guanajuato. It was recognized that this population was not necessarily representative of a broad sample of language students and that any results would have to be considered within this limitation. The sampling period was considered an advantage as it fell roughly in the middle of the spring semester when it was anticipated that the highest number of students would be available. The decision to draw upon as large a number as possible during the sampling period was an attempt to address part of the problems inherent in using samples of convenience. The first step in choosing a data collection instrument was to eliminate options requiring significant resource support, with significant learning curves, not relevant to the research questions or with which there was no experience (systematic reviews, randomized control trials, etc.). Eliminated also were those that would require conversational interaction or the verbal exchange of ideas (such as in focus groups and interviews) because of language barriers that were very likely to arise during the sampling process. Through this process of elimination, a survey instrument was left as the most suitable method of data collection. In deciding which types of questions would provide the best evidence, the original research questions were reflected upon and the information gathered and informally observed during the study leave was examined. Five questions were developed to identify specific information resources and measure users’ opinions of their importance and motivation for using them. Thirteen resource types were identified, drawn directly from the materials held by the CAADI. Three questions were included to identify age range, language studied and status within the University. Only one open-ended question was included. In all others students were required to select their response from predefined lists, scales and categories. Question type was kept as simple as possible to avoid ambiguity that was likely to be compounded by working in a foreign language. Surveys were distributed in person to every patron who entered the CAADI during a one-week period. Participants were asked to complete one survey only. Of the 196 people approached, 193 surveys were distributed and 187 were returned. Not every student answered every question on the survey. Where this occurred the response has been listed in the tables and charts below as “No response”. It is interesting to note that students at the CAADI appear to use information resources more often when pursuing internally motivated objectives (independent language improvement) than in response to an immediate externally imposed objective such as completion of homework assignments or preparation for a class presentation. This use could indicate that language students have information needs beyond those that are required for the work assigned to them by their professors. Whether this is a manifestation of a type of information need particular to the ‘independent learner’ focus of the self-access model, a characteristic particular to foreign language learners, a reflection of the accessibility of these information resources to the students using them or some other factor is not apparent and is a question deserving further exploration. None of the information resources identified in the survey as “important” or “very important” had been included in collection development practice at the U of L. The evidence gathered by the survey instrument is a strong indication that this practice warrants a re-examination. The question of textbook collecting is considered as an example. While Hsieh and Runner (2005) explore this issue, their research addresses required texts and focuses on decreasing duplication rather than increasing support. Although there were no textbook assignments at UGto., students were provided with many readings and still found textbooks to be important to their information needs. Perhaps the importance of textbooks as an additional resource to support student learning varies across disciplines. However, survey results at the UGto. suggest that for foreign language learners, textbooks are an important information resource. A significant question that arises in considering the results of the sample is the validity of the results outside of a CAADI environment. Perhaps a resources centre such as this resembles more closely a special library and should not be examined or compared in relation to an academic library. Perhaps this particular CAADI is not representative of CAADIs worldwide. These are more questions for consideration and deeper investigation. There are a number of directions to go with this research. The supposed lack of attention paid to the information resource needs of the study population by academic librarianship deserves further exploration. It appears there is another ‘library’ culture out there – the Self Access culture – that developed as a direct response to the information needs of students in foundational language study (Miller & Rogerson-Revell, 1993). It would be very interesting to study the culture of CAADIs, examining their history and place in academic institutions, surveying the training and background of the professionals contributing to their growth and development and comparing this with current practice within the professional culture of librarianship. While an appraisal of the literature would suggest a gap in the research of the profession, it does not necessarily reflect a gap in the understanding or knowledge of the information needs of this population by others outside of the profession of academic librarianship. What it may reflect is an overall lower prioritization of this population by academia. The CAADI is a well recognized model within foreign language program instruction around the world (Fouser, 2003) and it may be to the research of the professionals working in this milieu that we must look to for guidance in addressing the information needs of this population. The investigations in this paper provide a starting point for research in to the collection development practices of academic libraries supporting the learning of foreign languages. By examining the information needs of one population, evidence has been provided that these students do indeed need information resources to support their language learning and suggests specific resource types that could be important for these users. By applying the knowledge gained from both the informal experiences and the evidence gathered during the investigations, the author has been able to improve the collections and services available to the Modern Language students at the University of Lethbridge. Experimenting with peer-facilitated conversation groups in the library, working with faculty to develop the foreign language fiction and non-fiction collections and creating in-house subject headings to improve access to existing language collections are just a few examples of how the investigations have been applied in a practical way. It is hoped that further investigations in this area will continue to contribute to both professional literatures and practices of academic library and language teaching professions. Glenna Westwood is the Subject Liaison Librarian for the Department of Modern Languages at the University of Lethbridge. Her research activities have developed around an examination of the information needs of students in foundational language courses and incorporate investigations and interests in participant observation & fieldwork in librarianship and the relationships between Self Access Centers and Academic Libraries. Fouser, R. J. (2003). 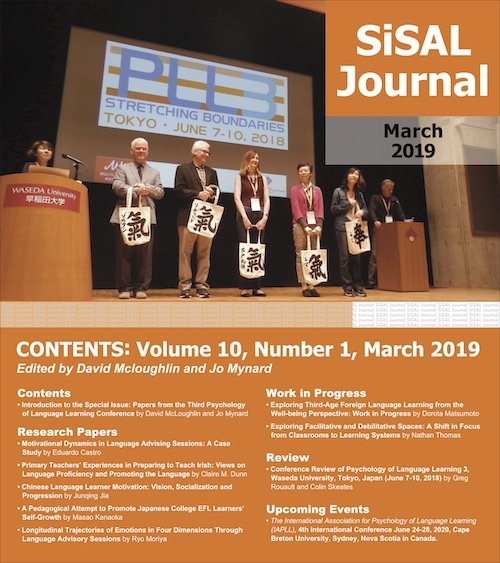 Self-Access Centers (SAC) in university-level foreign language education: Theoretical and practical considerations. MM News, 3, 47-69. Henczel, S. (2003). Selecting and acquiring library materials in languages other than English: Establishing non-English collections for public, school and academic libraries. Collection Building, 22, 141-145. Hsieh, C., & Runner, R. (2005). Textbooks, leisure reading, and the academic library. Library Collections, Acquisitions, & Technical Services, 29, 192-204. Kasten Marquis, S. (2003). Collections and services for the Spanish-speaking accessibility. Public Libraries, 42, 172-177. Miller, L., & Rogerson-Revell, P. (1993). Self-access systems. ELT Journal, 47, 228-33. Pettigrew, K.E., Fidel, R., & Bruce, H. (2002). Conceptual frameworks in information behavior. Annual Review of Information Science and Technology, 35, 43-78. Stone, S. (1982). Progress in documentation. Humanities scholars: Information needs and uses. Journal of Documentation, 38, 292-313. Sweetland, J. H., & Christensen, P.G. (1997). Developing language and literature collections in academic libraries: A survey. The Journal of Academic Librarianship, 23, 119-25. Wang, J., & Frank, D.G. (2002). Cross-cultural communication: Implications for effective information services in academic libraries. portal: Libraries and the Academy, 2, 207-216. Watson-Boone, R. (1994). The information habits of humanities scholars. RQ, 34, 203-217.